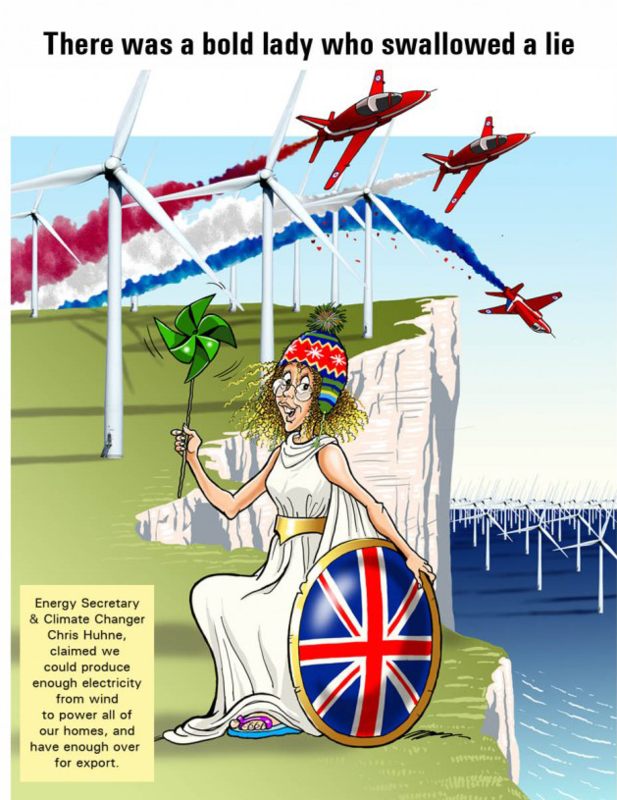 Recent information has been made available that the cost of Spinning Reserve, the backup to UK wind generation, could amount to £10 billion by 2020 with the construction of 17 gas powered generating stations. What is worse, as they will only be working part of the time they will need to be highly subsidised. Guess who pays. The Consumer. A matter of consequence is that a gas power station running in reserve actually creates more CO2 than one working at full power. Perverse as it may seem, this must be laid against the Wind Industry claims that wind saves CO2. 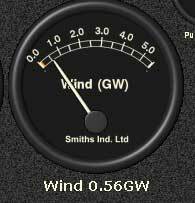 Demonstrably wind is carbon positive. Click on the photo for the whole story! The Cost of Dumping Energy. In Ontario they have been selling energy cheap or even giving it away. Look at the figures and remember that in Scotland the Wind Farm Companies sometimes get paid to shut the turbines down and we are not talking of a couple of quid here, we are talking millions. Mr. Salmond’s ambitions of a euro grid ask the question “How much is this going to cost us?” When we produce surplus energy, so does everyone else. Whose the Numpty then! Here is an important point which only the NATIONAL GRID seem to understand. Wind is intermittent, so needs backup. The backup needs to be fast acting, so OCGT, which the grid already use for BALANCING, i.e. matching supply to demand. OCGT is dirtier than CCGT and dirtier still when wound up and down or running below rated maximum power or in SPINNING STANDBY. 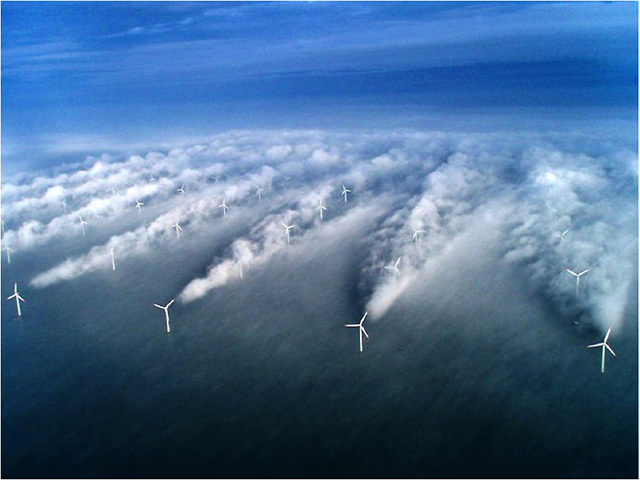 But the intermittence of wind needs its own OCGT to fill the gaps, and its CO2 emission is about the same as a CCGT generating the same power as the (now redundant) windfarm but working at constant rated power. So there is ZERO CO2 DISPLACEMENT. The BWEA have already been instructed by the ASA to halve their CO2 displacement figure from 860 to 430g/kWh; they should now take it down to zero. Their original 860g/kWh was based on displacement of coal, which is no more honest than displacing nuclear and claiming 0g/kWh. 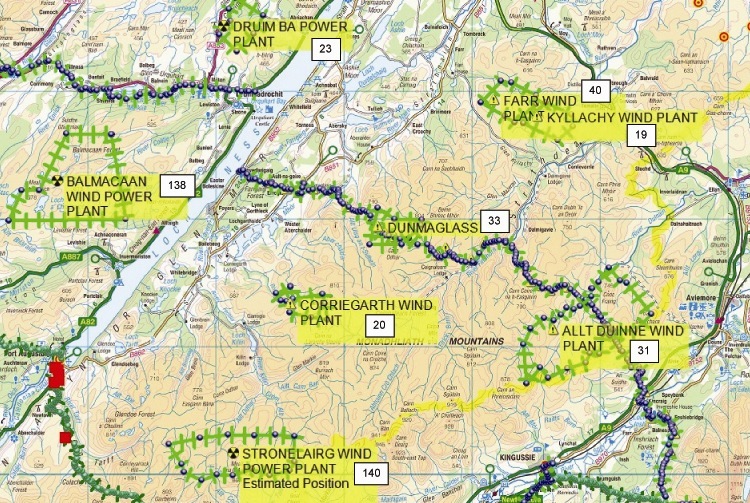 Whichever side one is on there will be chaos if the windfarms go ahead at a rate limited only by the planning process and the grid is unable to balance their intermittence. Trouble is, the science and the maths is not difficult, but not easy enough for the media. I’m a physicist and engineer, MA DPhil(Oxon) FIET CEng MInstP CPhys, just retired. Very interesting points you have noted , thanks for posting . “Success is a journey, not a destination. 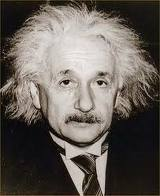 The doing is often more important than the outcome.” by Arthur Ashe. The high prices paid for gas turbine spinning reserve in California, in the years 2000 to 2003, when the rain and the previous winter snows were inadequate to provide enough hydro, ended up with the recall of Governor Davis, and it really wasn’t his fault. Energy producers with both gas turbines and nuclear power plants made pots of money out of nuclear power shutdowns for “scheduled maintenance”. California has a vigorous promoting of solar and wind power, and electricity prices up to 15 cents/kWh. In Virginia, I pay 8 cents/kWh to a company that gets 48% of its energy from nuclear. Two of their reactors experienced a Richter 5 earthquake, twice what they were ever expected to meet, and survived just fine. If I am not mistaken, the high temperature heat energy that Molten Salt Reactors (MSR) can deliver to turbines, of either the steam or closed circuit high density CO2 type, are as nimble as any methane burning turbine. It would therefore be totally unnecessary to bother with anything else. Leslie Dewan and Mark Massie of Transatomic Power, were told by the nuclear engineering firm of Burns and Roe that a factory- produced 520 MW nuclear-waste burning plant would in quantity production cost less than two billion dollars each, including the startup fuel load. 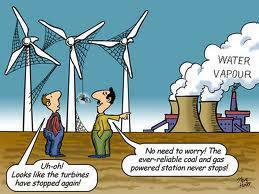 It is, by the way, rubbish to say that if 500,000 “homes” (residential consumer accounts) demand an energy supply of 400 MW-years in a year, and a 5 MW wind turbine averages 1.25 MW_year in a year, then 320 of these machines can supply 500,000 “homes”. You cannot stack electric energy in a bucket or a locomotive tender like coal.